← When Funds Be Low, Rice and Beans I Go! Loved this post; definitely laughed a couple times 🙂 I used to feel the same way about slow cookers but now I couldn’t live without mine (which I also obtained from my mom!). Moms: always good for left over kitchen tools. Glad you liked the post! Do you have any favorites you like to make in the slow cooker? I recently made a blackberry & red wine pork tenderloin and it was delicious! (Check out my blog for the related post). This weekend I plan on trying a southwestern chicken and bean recipe. 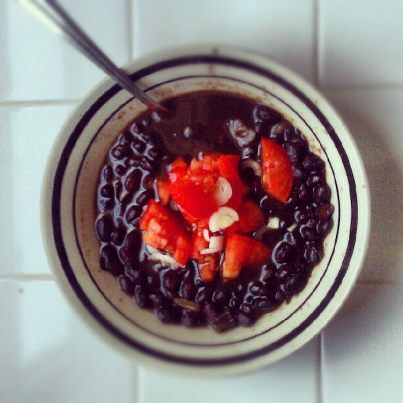 Have you tried anything else besides the spicy black bean soup yet?